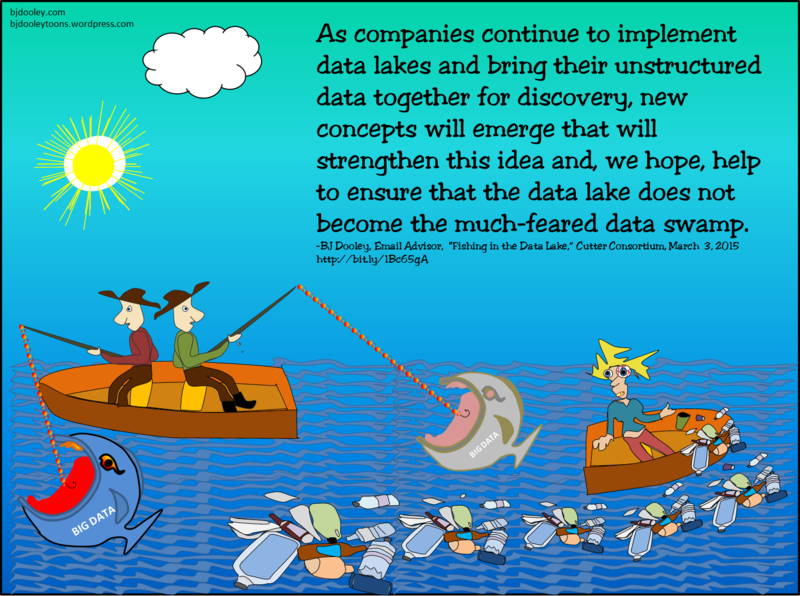 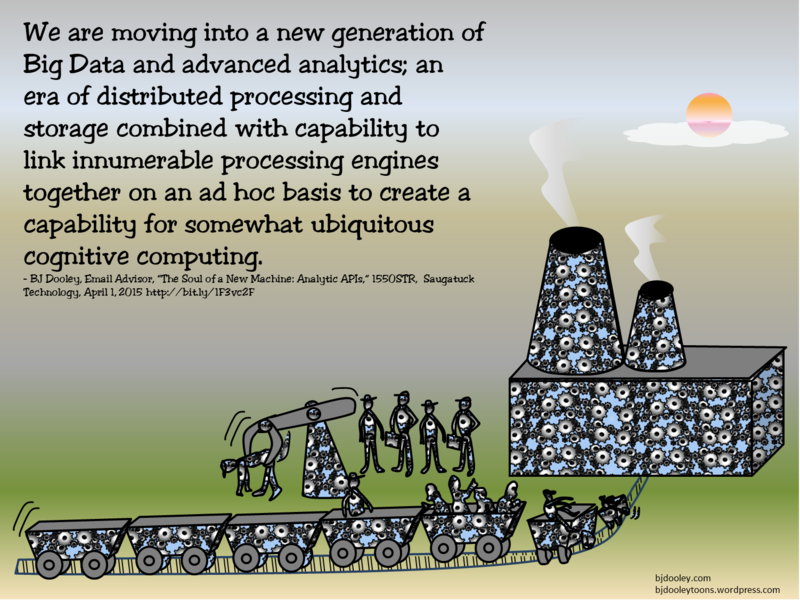 We are moving into a new generation of Big Data and advanced analytics; an era of distributed processing and storage combined with capability to link innumerable processing engines together on an ad hoc basis to create a capability for somewhat ubiquitous cognitive computing. 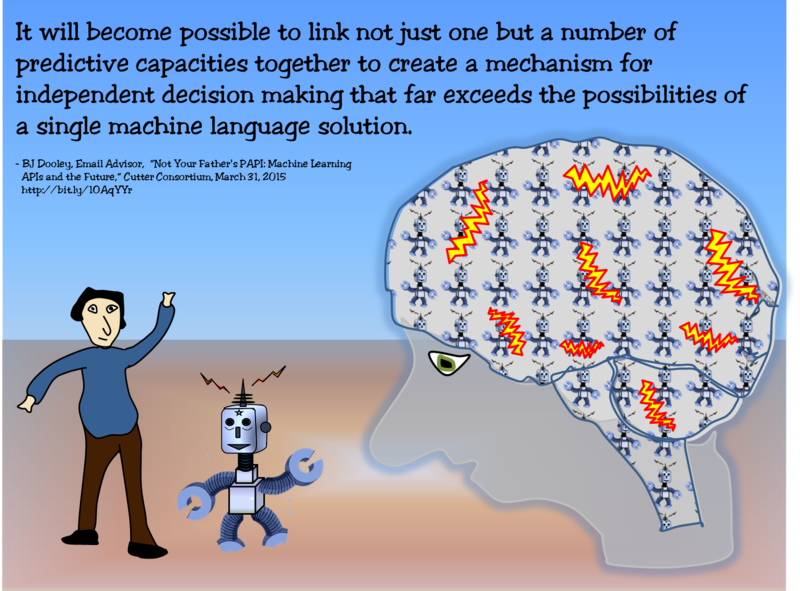 It will become possible to link not just one but a number of predictive capacities together to create a mechanism for independent decision making that far exceeds the possibilities of a single machine language solution. 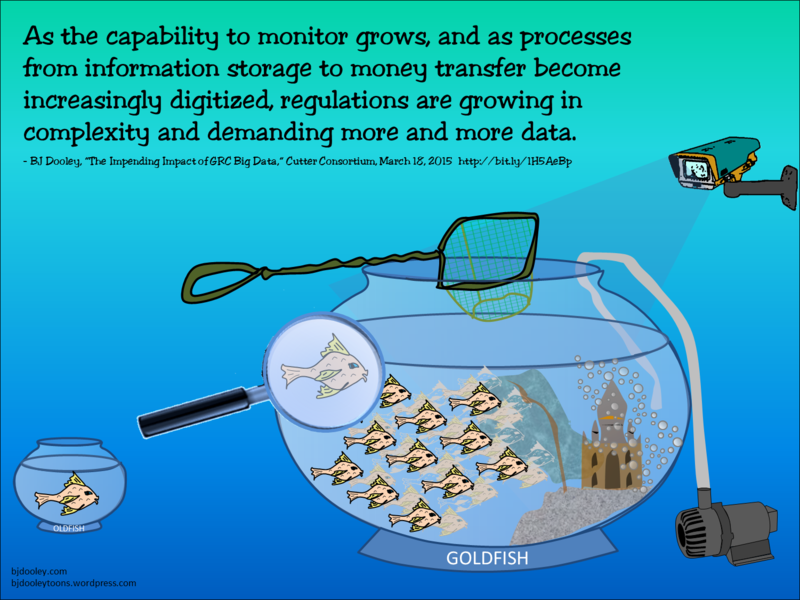 As the capability to monitor grows, and as processes from information storage to money transfer become increasingly digitized, regulations are growing in complexity and demanding more and more data. 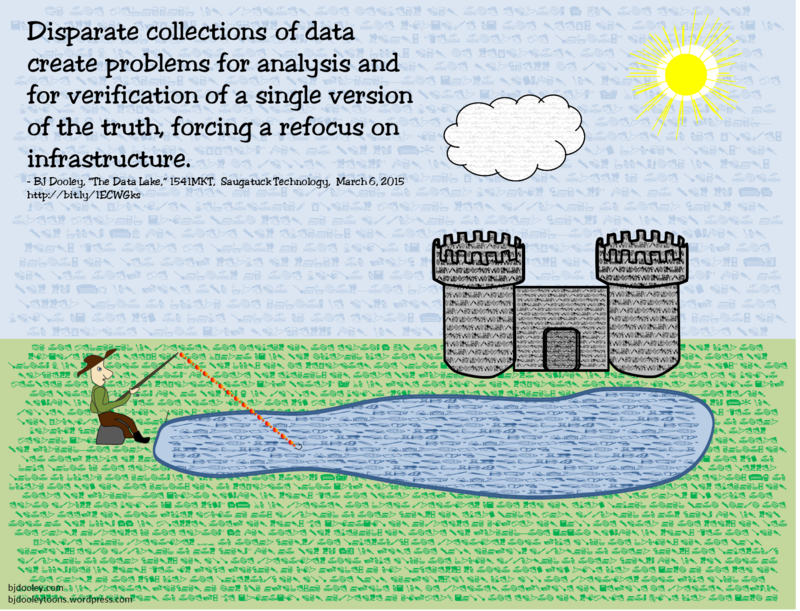 Disparate collections of data create problems for analysis and for verification of a single version of the truth, forcing a refocus on infrastructure. 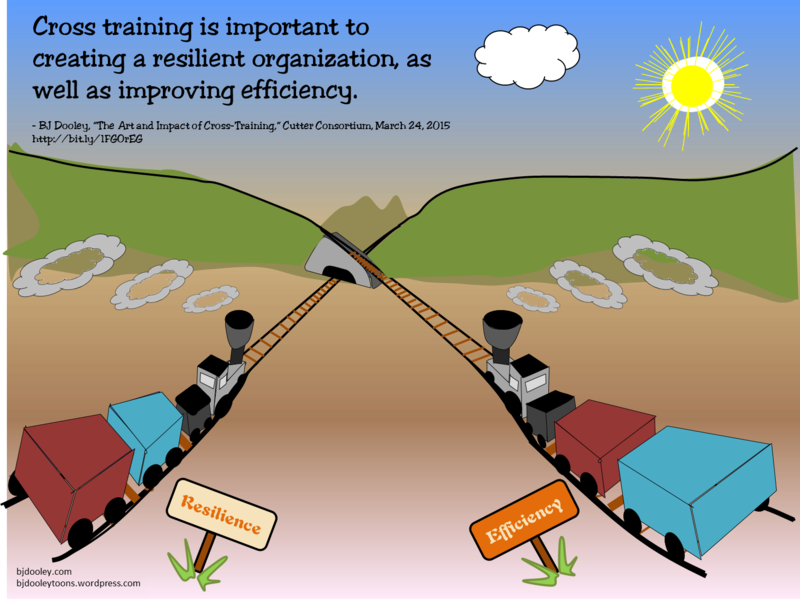 By broadening the scope of existing skills within project teams, it becomes possible to build upon existing specialties, retain valuable knowledge that exists within the firm, and create a Development environment that better meets business requirements.